An idea floated by President Trump to send immigrants from the border to "sanctuary cities" to exact revenge on Democratic foes could end up doing the migrants a favor by placing them in locations that make it easier to put down roots and stay in the country, according to a report by The Associated Press. The plan would put thousands of immigrants in cities that are not only welcoming to them, but also more likely to rebuff federal officials carrying out deportation orders. Many of these locations have more resources to help immigrants make their legal cases to stay in the United States than smaller cities, with some of the nation&apos;s biggest immigration advocacy groups based in places like San Francisco, New York City and Chicago. The downside for the immigrants would be a high cost of living in the cities. "With immigrants being less likely to commit crimes than the U.S. born population, and with sanctuary jurisdictions being safer and more productive than non-sanctuary jurisdictions, the data damns this proposal as a politically motivated stunt that seeks to play politics with peoples&apos; lives," said George Gascon, district attorney for San Francisco. 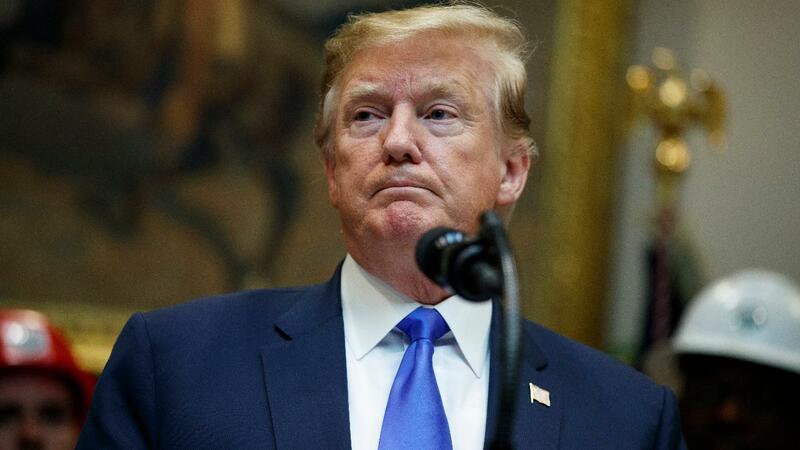 "Due to the fact that Democrats are unwilling to change our very dangerous immigration laws, we are indeed, as reported, giving strong considerations to placing Illegal Immigrants in Sanctuary Cities only," Trump tweeted. He added that, "The Radical Left always seems to have an Open Borders, Open Arms policy – so this should make them very happy!" The mayor of at least one such sanctuary city, Chicago, said she&apos;d welcome such an immigrant influx. “We have people who are routinely coming to this city. We have a whole infrastructure that’s built up to make sure that their rights are protected while the city of Chicago has, under the current administration, provided funding for various groups to help support asylum seekers and other people that are going through the immigration court system" Mayor-elect Lori Lightfoot said on CNN on Friday. "I expect it will continue, if not expand upon, those kinds of resources." And despite the consideration given to releasing the immigrants on the streets to sanctuary cities, the Trump administration actually has plenty of jail space to detain families. As of April 11, the nation&apos;s three facilities to detain immigrant families were nowhere near capacity, including a Pennsylvania facility housing only nine immigrants. It&apos;s also unclear how long the immigrants would stay in these cities because they are required to provide an address to federal authorities – typically of a family member – as a condition of their release. "It&apos;s illogical," said Angela Chan, policy director and senior attorney with the San Francisco-based Asian Law Caucus. "It&apos;s just alarming that they are spending so much effort and so much time to engage in political theater." "New York City will always be the ultimate city of immigrants – the President&apos;s empty threats won&apos;t change that," New York City Mayor Bill DeBlasio said in a statement. Fox News&apos; Joseph A. Wulfsohn and The Associated Press contributed to this report.